Easter Bash - Bunny, Hunt, Play! Hop in for an Easter Bash! The Easter Bunny is coming to Pump It Up! Join us for an Egg-stra Special event. 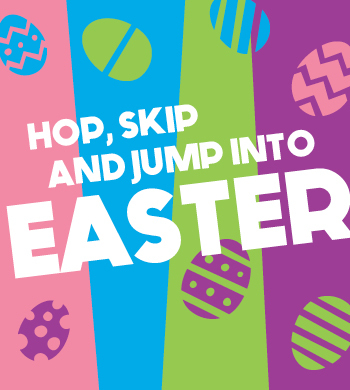 Meet the Easter Bunny, hunt eggs, and jump. Follow the fun with pizza and cake. $12.95+tax per child. Don't forget your camera! No coupons, passes, or discounts are valid for this event.